A conversation about protest and sports prompted by the hyper-public shaming of black athletes protesting during the national anthem. Join the conversation as humanities scholars Angela Dillard (Afroamerican and African studies and Residential College), Matthew Countryman (history and American culture), and Mark Clague (music) tackle these questions and others you might have about high stakes culture now. · When did sports and patriotism become so deeply linked? · Has the flag always been viewed as sacred and purely a symbol of the armed forces? · Where did the national anthem come from, and have people always stood when it is played? · Who gets to decide what symbols deserve respect and what counts as a gesture of respect? About the series: In the last few months a series of “culture wars” have been ignited across the country. Activists from all points of the political spectrum, even the President of the United States himself, are turning to beloved cultural objects to stake a claim for their differing beliefs in a politically fraught moment. 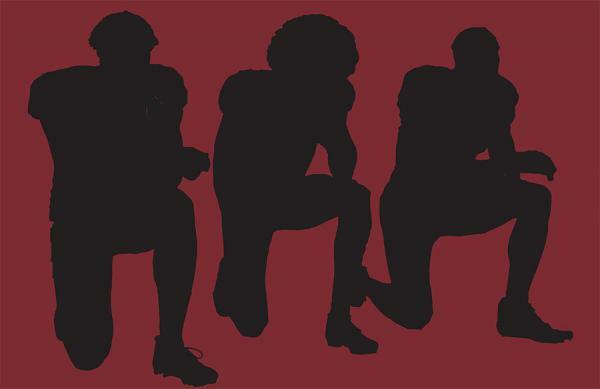 Black athletes are taking a knee. Anti-immigration voters are rallying for a wall. Long-standing Confederate monuments are coming down. What is at stake in the ways we understand culture and cultural conflict? High Stakes Culture is a series that brings humanities perspectives to bear on current debates. Join us as we ask: How and why does culture matter so much now? Presented by the Institute for the Humanities and the Humanities Collaboratory.